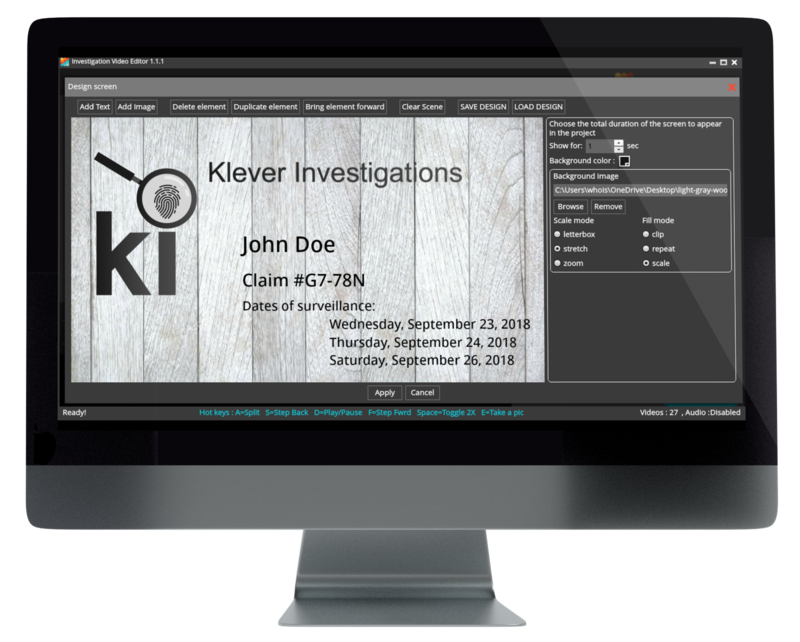 Investigation Video Editor (IVE) gives you the ability to add time-stamps to video, sync the video taken from multiple cameras, edit that video and masterfully render your final project into a true, professional-quality, uniquely branded, HD product for your clients. Add a Time-Stamp - Just like that! IVE accepts all video formats, including video taken on cell-phones. Does some of your surveillance video already have a time-stamp on it? Not a problem. It will fall in line with the other videos in the project. Did you forget to set your camera for daylight saving time? Did your camera’s battery die and resort back to the year 1999? Not a problem. Simply adjust the time-stamp to reflect the correct time when ALL of the video was taken. If only some of the video needs to be adjusted, again, not a problem. Just place that video into its own folder, adjust the time, and it will fall in place with the other video. Simple. Have you ever required the times from different cameras to line up seamlessly? You can do it with IVE. Use the Sync feature to match the end time from one camera's video with the beginning time from another camera's video. Stop trying to line up pre-timestamped video in your current video editing program. Have it done for you automatically! 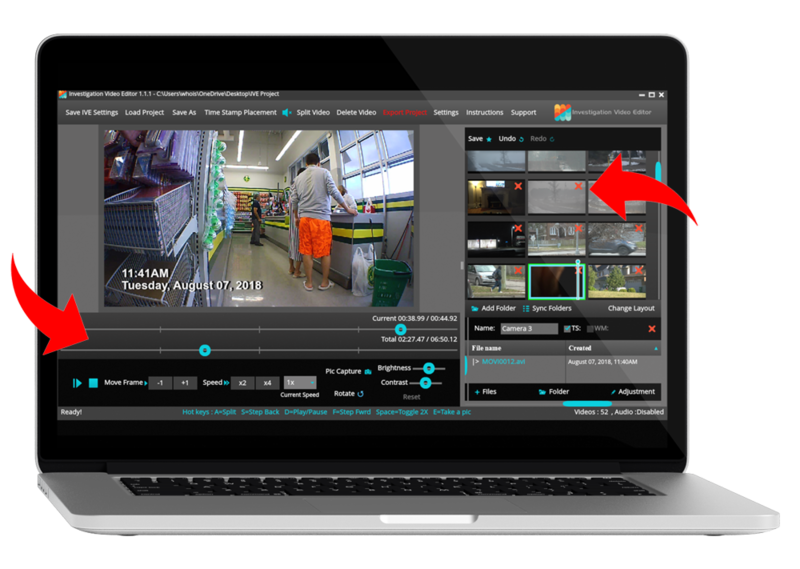 Scan quickly through every second of video, delete unwanted clips from the project and cut out shaky and blurry sections. Use IVE’s unique mouse and keyboard technique in order to edit your surveillance video faster than you ever have done before! Brand your product so that your agency stands out from the rest. Adding simple, yet custom touches to the video will set you apart from the others! Take HD stills of the video. With the timestamp! Add a company header/footer. With sound! 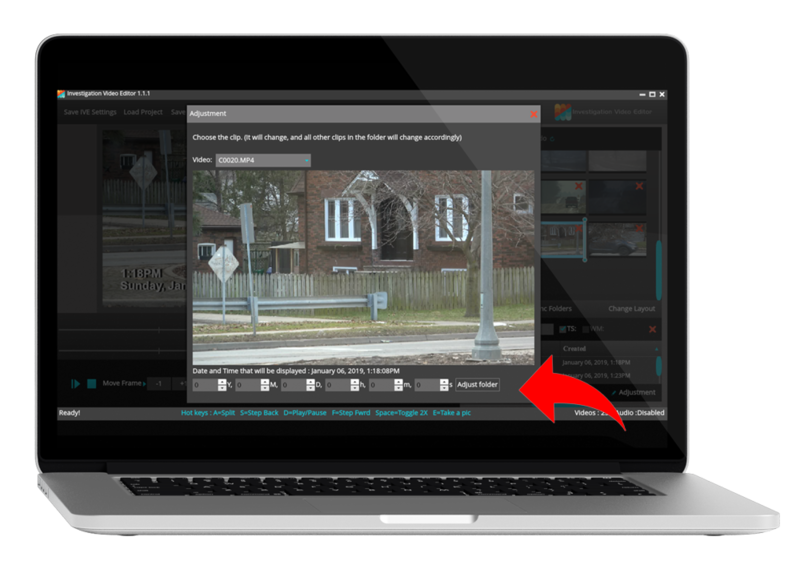 Skim through video faster than real time! Again, unlike competing products, with IVE you can vouch honestly that the video is a true representation of events because the software cannot alter it. The investigator can swear, with confidence, that the time on his or her camera was set correctly and that IVE was used to edit the video, meaning the time-stamp is correct and true and that the footage presented is the actual “raw” video. In short, when video files are inputted into IVE, it will extract the date and time from the collected data and display it on the viewer- This date and time will be the one displayed on the final exported project, suitable for court presentation. Fine Print, Please Read: You may activate one “full” version of the software on one device with one "key" only once. The “full” version will not transfer to another computer. The software license (key) is permanently assigned to the computer for which the “full” version was activated. Since we can not confirm a deactivated "key", an exchange is not always possible. You may safely update your operating system. A computer “crash”, however, where all software is deleted or performing a task such as re-setting your computer back to the factory default or another similar task may clear the computer of the “full” version. Your previously purchased key will not activate the "full" version again on that device. If this occurs, you will be required to download IVE once again from the website and purchase another key. Please contact us as well to see if there is any assistance that can be provided. Should you require a replacement: As a non-subscription-based product, our intention is to enable our clients to avoid paying monthly fees that, over time, make a product’s value less compelling. Should your full version of IVE ever be lost from your computer, if for example, your computer crashes and your hard drive requires a factory reset you can easily and quickly obtain a replacement key for a nominal fee of just $28. (That is 60% off of the price of a new single KEY from our website.) You will be asked to provide us with your original KEY so that it may be deactivated. Once this is accomplished, you will need to then make your payment for the replacement KEY through PayPal. It’s that easy! Download your trial version today! 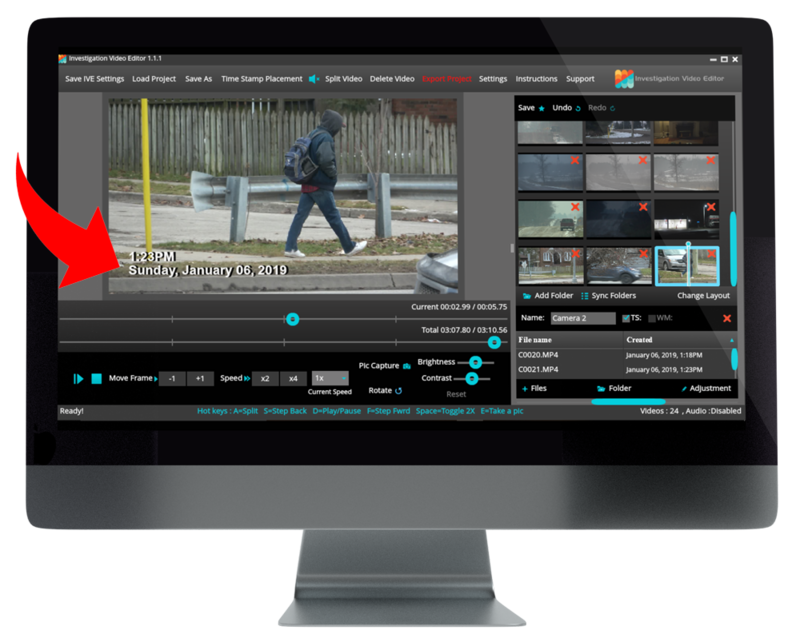 Discover for yourself how IVE can transform your workflow and enhance your reputation as a cutting-edge agency, able to deliver high-quality surveillance video to your clients faster than any of your competitors. 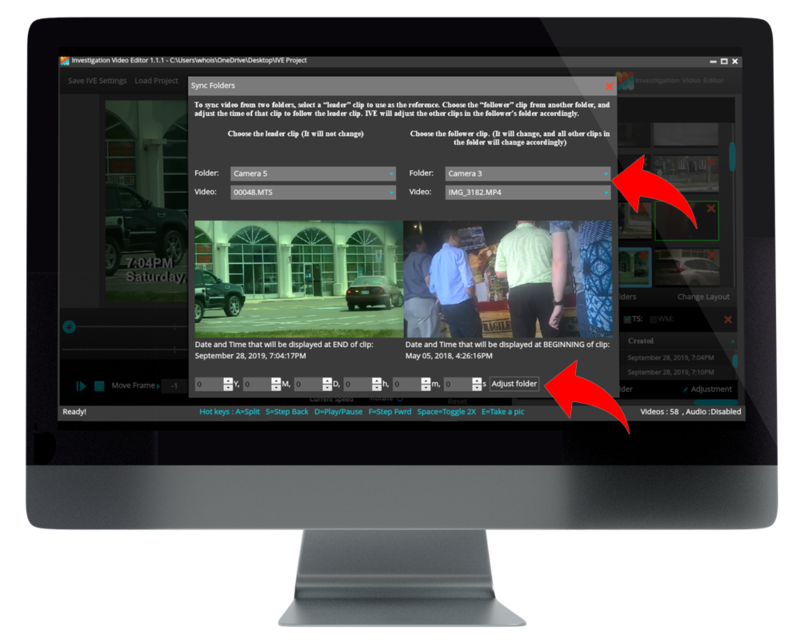 Investigation Video Editor is a product of Klever Thoughts Incorporated.